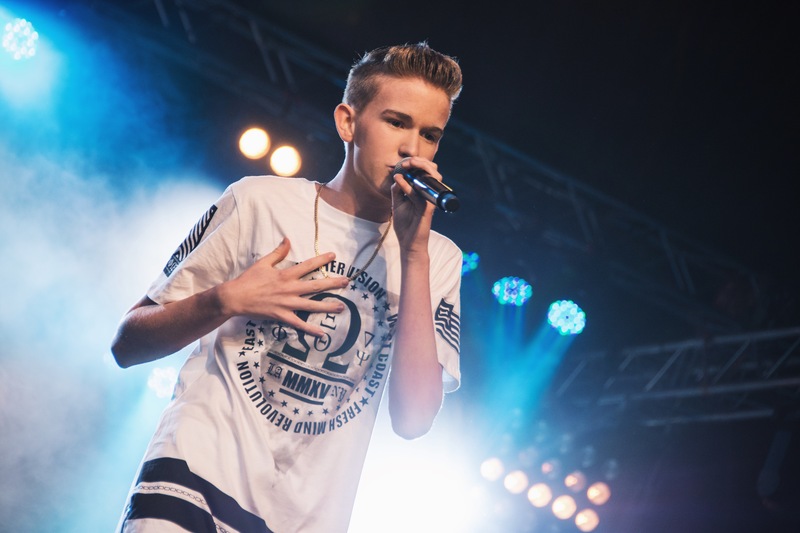 Teen-sensation Pontus Rasmusson’s explosion onto the music scene has been several years in the making. The success of his covers and several singles on iTunes, Spotify and many other online music stores have taken him from nobody to somebody. Pontus started to sing before he could talk and music came naturally to him from his early years. Pontus YouTube channel has millions of views from people keen to see his live and music videos. His covers, and his own produced material, have gained him thousands of followers on Instagram and Twitter and a rapidly growing Facebook fan base. Pontus motto underpins his ambition to sing what he loves: “To achieve, you must be fighting”. Pontus Rasmusson är artisten och tonårsidolen som synts flitigt på event över hela Sverige. honom, och han är populär bland barn och ungdomar som kommer till de event han medverkar på. © 2018 Pontus Rasmusson. All rights reserved.